Currently serves one day a week. Community meals are open to all – it is a way to build community, reclaim public space and protest hunger, poverty, militarization and all forms of oppression. Meets every Sunday at 5 pm. We serve in different locations every week. Usually we are at Cesar Chavez Park. 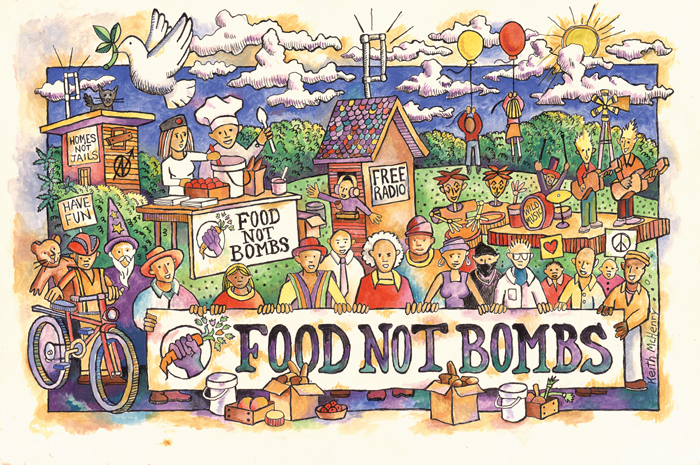 Food Not Bombs needs your help! We need assistance with transportation, cooking, serving and cleaning. We can always use your help as well as your perspectives and experiences. CLICK HERE to go to the Food Not Bombs website. I’m with a group that has been making lunches and distributing them to the homeless at Saint James Park in San Jose every other Sunday for several months now. 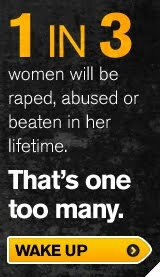 Lately we have been told by several police that they will begin giving citations and possibly even arresting us if we continue to do so after June. I was wondering if you had knowledge of any laws, bi-laws, or court cases that may help us in this manner. Any help would be greatlt appreciated.